About half the U.S. states have approved marijuana for medical use. They include some of the biggest states in the union: California, Illinois, Colorado, Massachusetts, Maryland, Oregon and Washington. Clearly, voter approval for medical marijuana has become the national trend. And yet, if you live in one of those places, you might ask: if I really want to get a prescription for medical marijuana, how do I do it? Below are the steps you have to take. Keep in mind that rules vary from state to state. As noted in the 2016 report from Americans for Safe Access, access to medical marijuana has improved but does not yet make it as easy as it could be for patients who want cannabis. Medical marijuana is legal in 23 states and the District of Columbia. In addition to the states mentioned above, these states have legalized medical marijuana: Arizona, Montana, Nevada, New Mexico, Connecticut, Delaware, New Hampshire, Vermont, New York, New Jersey, Rhode Island, Maine, Michigan, Minnesota, Illinois, Alaska and Hawaii. In most states, you must have a condition or disease that the state has on a pre-approved list. This varies somewhat from state to state, although they usually include chronic pain, AIDS, nausea related to chemotherapy treatments, hepatitis C, multiple sclerosis, asthma, epilepsy, Alzheimer’s disease and any terminal illness. Check the list in your state. California, for example, makes cannabis available for a wider variety of medical situations including anorexia, arthritis and migraines. Unless you have a terminal illness, a doctor may not bring up the possibility of medical marijuana (this depends greatly on the doctor, of course). If you have interest in using cannabis for a medical condition, such as chronic pain, then ask the doctor if they consider it an option. Many more doctors now provide patients with a medical marijuana prescription, but you may have to seek a second opinion or find a doctor who specializes in medical marijuana if your first doctor proves reluctant. You will need a written prescription to move on to the next step. Here comes the paperwork! Rules vary by state, but in many you must register as a medical marijuana user (in some states this is voluntary). You will receive a medical identification card for the purpose of showing law enforcement and the necessary officials that you have registered to legally use marijuana for medical purposes. Once you fill out the paperwork, you will need to submit it to the state. Typically this will require a small fee. Then you must wait until the paperwork gets approved and state officials send you a medical ID card. 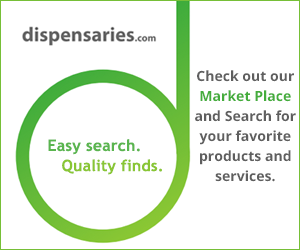 States where medical marijuana is legal have dispensaries where, with your prescription and ID card, you can become a member and fill your prescription. You might want to practice calling marijuana something other than “pot” or “weed” – typically dispensaries simply refer to it as medication. You likely will have many choices, from cannabis you can smoke to edibles, sprays and creams. Following these simple steps should set you on your way to getting a medical marijuana prescription.